Here at Mugleston's Pitbull Farm we believe the true measure of a kennel is not the bully pitbull males, but the bully pitbull females. 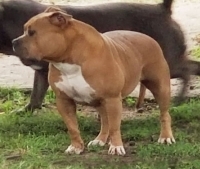 Most bully pitbull kennels have nice male bully pitbull dogs, but we believe to produce truly superior puppies a bully pitbull kennel needs top quality female "bully pitbulls" as well as incredible male "bully pitbull dogs". 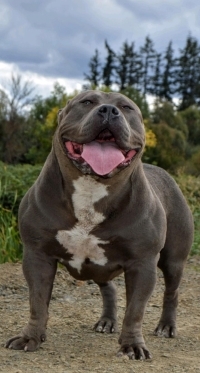 Because high quality thick and bully female "bully pitbulls" are difficult to obtain, many bully pitbull kennels are forced to breed taller or thinner headed female bully pitbulls to their thicker male bully pitbulls. The "bully pitbull dogs" produced from breedings like this are going to have half lanky genes and half thick genes. We were doing breedings like this ourselves here at Mugleston's back in the early 1990s. The problem was that since lanky or especially thinner headed "bully pits" genes seem to usually be dominant, the puppies produced by those breedings tended to turn out a lot more like the thinner dam than the thick and bully pitbull sire. Now I will say that we did manage to produce a few thick puppies out of breedings like this over the years. 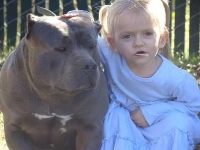 The problem we had with this was that when we bred these rare, thick offspring, they would throw "bully pitbulls" that looked more like their lanky mother than their bully pitbull father or themselves. 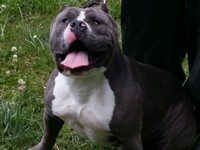 We spent many years researching and learning while breeding these types of bully pitbulls. Then in the late 1990s with some hard work, perseverance, and a little luck, we finally managed to produce the superior quality bully pitbull bloodlines we are still improving today. 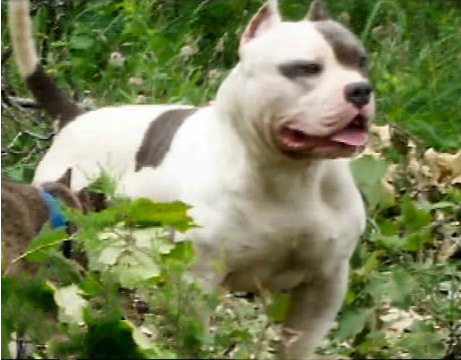 In short, if you are wanting to produce, or purchase bully pitbull bloodlines that consistently produce the same type of bully pitbull, BOTH parents, their siblings, and preferably all four grandparents should be the kind of "bully pitbulls" you are looking for. That way you know that the kind of "bully pitbulls" you want are most likely the only kind of "bully pitbulls" you are going to get. This approach will almost always consistently get you the kind of "bully pits" you want, no matter what kind of "bully pitbull dogs" you are actually interested in getting (i.e. game dogs, show dogs, etc.) In our experience, most typical pitbull bloodlines produce lanky (by our standards) or incorrect/defective dogs of both sexes. 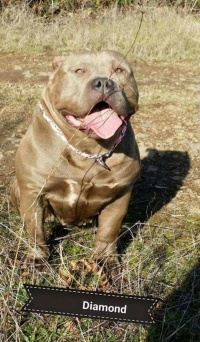 Also note: With many bully pitbull bloodlines in the world today, the bully pitbull males are typically much thicker and bullier than the bully pitbull females are from that same family or litter. This is very common with rednose bloodlines and is also why it's so much more difficult to get thick bully female pits than it is to get thick male bully pitbulls. Here at Mugleston's Pitbull Farm we believe the bully pitbull females should be just as massive as the males. With thick overbearing females that surpass most kennels males, our mission is to produce the Ultimate line of bully Pitbulls. 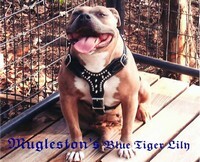 Feel free to browse the site, and as always, thanks for visiting Mugleston's Pitbull Farm. 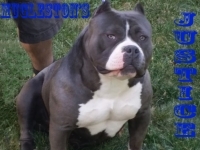 Muglestons "Pitbulls" or "Pit Bulls" is a high quality "pit bull kennels" specializing in the shortwide "American Pitbull Terrier". 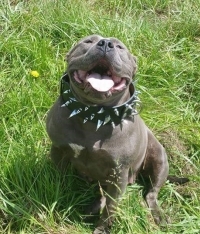 We love our "Pitbulls" or "American Staffordshire Terriers" and "blue pitbulls" in particular. 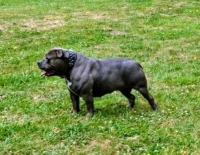 We often have some "blue pitbulls" or blue "American Staffordshire Terriers" for sale. Here at Mugleston's Pitbull Farm we have been breeding the "American Pitbull Terrier" or "American Staffordshire Terrier" also known as "pitbulls" or "pit bulls" at our "pit bull kennels" for structure and personality since 1993. 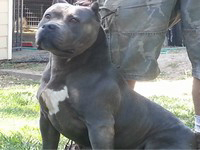 We have been breeding "Blue pitbulls" or "American Staffordshire Terriers" here at our country "pitbull kennels" since 1998. All of our "American Pitbull Terrier" and "Blue Pitbulls" are UKC registered and all our "pitbulls" or "Pit bulls" puppies come with complete UKC "Pitbulls" registration. We believe we have some of the best "pit bulls" bloodlines in the world here at our country "Pit bull kennels" and we will continue to improve our "blue pitbulls" dog bloodlines as well as our other "pitbulls" dog bloodlines for years to come. Our goal is to have the very best "Pit Bulls" bloodlines available on earth.